We get to meet some wonderful people here in Eleuthera – and this week I am writing about one special person – the chocolatier Oliver Kita. We first met Oliver about 18 months ago – he was visiting Governors Harbour and staying with friends at Wykee Estates. We were invited for a fabulous dinner party – the food was delicious and the table setting was absolutely brilliant. He had used old books that were in the house to decorate the table – it was imaginative, witty and inspirational. He had bought some of his chocolate with him for us to enjoy and it was really lovely. I have to confess that I don’t have a sweet tooth – I much prefer savory food – and that when it comes to chocolate I can take it or leave most of the time – HOWEVER – with Oliver Kita’s chocolate it is a different story !!! 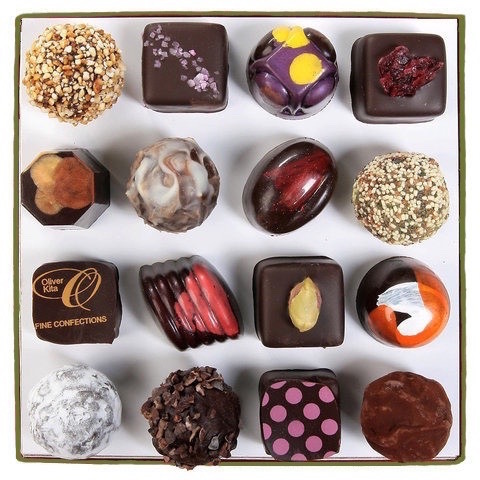 When I tell you that Oliver was named one of the top ten chocolatiers by Dessert Professional Magazine in 2015 you will realize that we are talking about ‘special ‘ ……. Just the best chocolates ever……. The next time we met was when we went to spend Christmas Day 2014 with Oliver and friends right here in Governors Harbour. He gave us a chocolate Buddha and a small box of the the most divine chocolates I have ever tasted. They are perfect works of edible art – delicate, joyful and amazing little bursts of happiness for the senses- sound a bit crazy ? – try them and you will see what I mean. The famous Oliver Kita sandwiched between my Mum and me ! with friends….. He is based in the Hudson Valley – Rhinebeck New York to be exact – and he is the most wonderful embodiment of someone who passionately loves what he is doing and has become a true master of his craft. Somehow his humor and sense of fun come through in his amazingly creative flavor combinations and inspirations. So when he visited again recently it was a total delight to spend time with him. 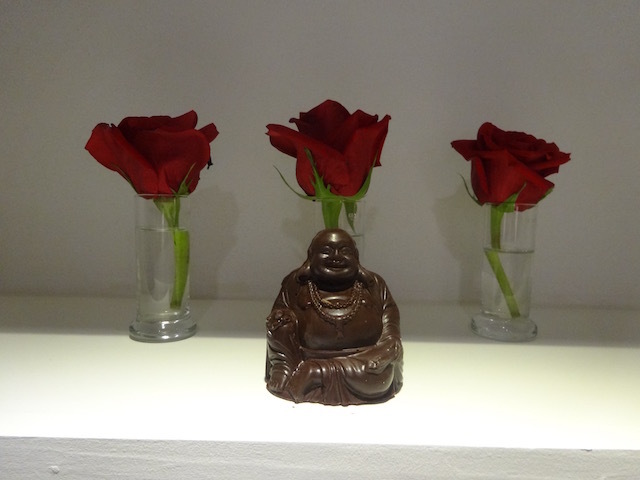 The chocolate Buddha from Christmas 2014 – it was so beautiful I photographed it in front of the roses !!! It is a real joy to be in the company of someone who really excels at what they do – and to be with someone whose enthusiasm and passion inspires what they produce – and then to get to eat it ! I think you get the picture. I am hoping that maybe in the future for special occasions we can persuade Angelika Bacchus at Bacchus Fine Foods to stock some of Oliver’s amazing chocolates. 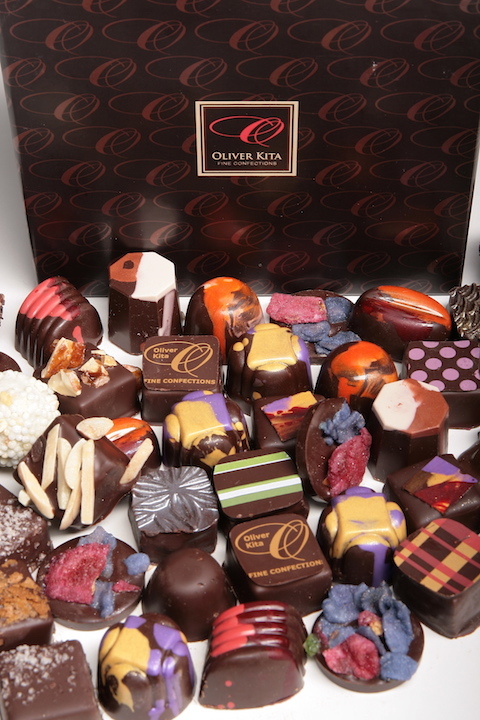 Do check out Oliver’s website and Facebook page – if you are in the US you can order online from him – just try it and see what all the fuss is about – I defy you to eat one of his chocolates without either groaning in delight or laughing with joy ! Oliver Kita – chocolate genius !!! By the way – I have just noticed how often I am wearing the same white top in these photos I post on the blog – I do wear other things you know !!! It seems you wear several hats, each of which takes time and talent. 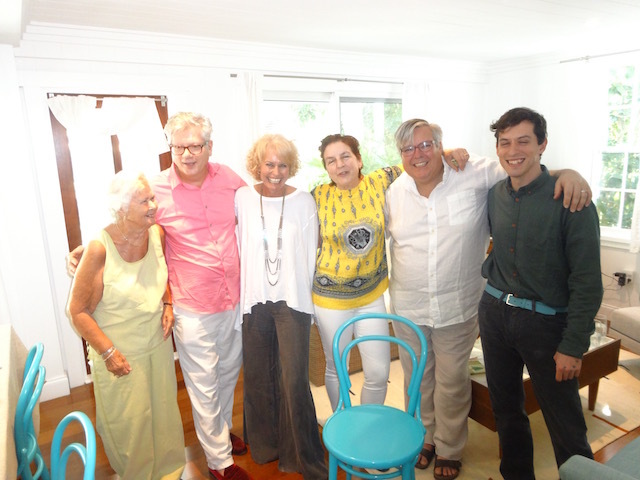 I really think exposing the amazing people of Eleuthera who have been ever so kind to us is important. Thank you, my wife and I follow your blog faithfully. Snow has left our part of Canada so we go home soon to our kids and grandkids. Till December, Ciao, Mille grazie. Thanks Andrew – sorry you will be leaving the island but pleased to hear that you will be returning home to see your family again. Look forward to seeing you again in December. And thanks for the blog comments – always so good to know that real people are reading and enjoying what I write. I love chocolate. The chocolate Buddha is clearly too fantastic to eat, but I would have trouble resisting the other treats. They really are works of art! So darned good – I can’t tell you !